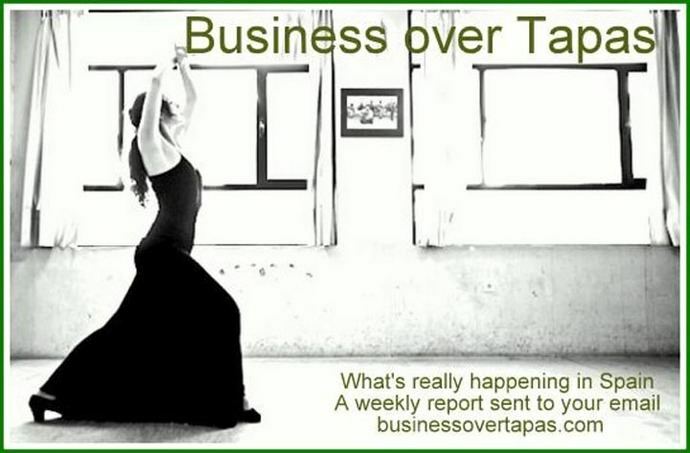 06DIC18.- For subscriptions and other information about this site, go to businessovertapas.com email: businessovertapas@gmail.com - ***Now with Facebook Page (Like! )*** Note: Underlined words or phrases are links to the Internet. Right click and press 'Control' on your keyboard to access. Business over Tapas and its writers are not responsible for unauthorised copying or other improper use of this material. Subscription and e-mail information in our archives is never released to third parties. The results for the regional elections in Andalucía are in, and things can only be described as murky. Maybe 'apocalyptic' could work. Messy, certainly. The PSOE-A of la Susanita won, of course, with 33 seats (down from 47 in 2015). Second came the perennial second-placers of the Andalusian Partido Popular, with 26 seats (down from 33). Third place went to the Ciudadanos with 21 (up from 9), well done to them. Fourth came the Adelante Andalucía people (the Podemos brand to you and me) who went from 15 plus 5 four years ago (Podemos plus IU) to just 17 today. The four parties were presented on two debates on the national TV and were discussed and dissected by the Media to general satisfaction. The 'far-right' Vox party - which only last week had uncomfortable forecasts of getting a toe into the Andalusian parliament through its Almería candidate - a woman who refused any and all interviews - suddenly blossomed into twelve seats. Fifth place perhaps, but certainly the headline grabber for the election. The Vox is not really 'far right', so much as a populist racist fringe party. It only managed to take two neighbourhoods and one city in Andalucía - this was El Ejido, the Almería city of plastic farms and non-voting immigrants (El País in English looks at the ‘three municipalities that voted for Vox’ here). Benhavís on the Costa del Sol ‘where the indignant wealthy voted for Vox’ here. We are now faced with the unpleasant task of reading Vox' manifesto. Among other projects, they would ban abortions, Canal Sur (see here), women's rights, autonomous regions, illegal immigration (a bugger for El Ejido), and take back Gibraltar. The national leader of Vox is the pistol-packing (literally!) Santiago Abascal (here), and the leader in Andalucía is a colourful retired judge called Francisco Serrano (here). Now comes the horse-trading. We have the PSOE-A and Podemos short of a majority. They would need Ciudadanos. We have the PP (no longer insisting on the 'most-voted party to rule') keen to ally itself with Vox (which is a sobering thought). The PP/Vox machine would also need Ciudadanos to make up the numbers (but with the PP candidate as president). Perhaps the best solution could come from Ciudadanos itself. Despite being third, it could lead an uncomfortable Andalusian government of PSOE-A and PP. As for Susana Díaz, the PSOE-A has evidently staggered in its tracks, perhaps meaning the end of her tenure as president of the Andalusian socialists (Pedro Sánchez in Madrid will no doubt manfully take this reverse in his stride). ‘A former Disney director wants to build a Eurovegas in Extremadura. The development in a town of Badajoz, called Elysium City, contemplates four casinos, a port and a stadium. Cora Global forecasts a 3,500 million investment in a location discarded this summer by another US group’. Story from El País here. Two ‘illegal’ towers in Benidorm are to be demolished, says ElDiario.es here. ‘The Courts have given three months to the Consell to pay 100 million euros in compensation for the demolition of the towers of Benidorm. The Executive will have to compensate the owners of 168 luxury apartments built during the PP legislation in a protected space’. That’s to say, the 100 million euros will come from the public purse (aka the taxpayer). From El Mundo here: ‘Foreign tourists who visited Spain last October increased by 5% to add another 7.6 million to the 73.9 million who had visited us in the first 10 months. Their spending also grew, at an increase of 4.6% more than in the same month in 2017’. ‘Spanish Prime Minister Pedro Sanchez said on Tuesday his government was planning to put forward a proposal for the 2019 budget in January, changing strategy after the electoral setback on Sunday’. From Reuters here. Banking: ‘The return of the zombie accounts: "I thought it was closed and now they're asking me for 400 euros!". Banks have been resurrecting long-forgotten accounts for years and are demanding maintenance fees from their owners’. El Confidencial reports here. The Corner runs an interesting article on the ‘Metamorphosis Of Spanish Banks: From A Cosy Club To Tough Competition’ here. From El País in English here: ‘Have you had a child in Spain since 2014? You could be due a tax rebate. Recipients of maternity and paternity benefits from the Spanish Social Security system will be able to reclaim the income tax withheld on these payments’. Welcome to ‘Mierda Jobs’. LaSexta looks at the lowest paid jobs here (video). The results from Lenox’s town (Mojácar) show the PP losing votes over 2015 from 760 to 522, while Vox came in fourth, with 206 votes (out of a total of 1,652 votes cast. The foreign residents, of course, not voting). Suddenly, early elections aren’t looking so attractive, with the threat of an indeterminate number of Voxulistas getting into Parliament. President Sánchez at the same time is saying that the Vox leader Santiago Abascal is doing a good job in weakening the Partido Popular by taking some of their voters. El Español has the story here. The news-site elsewhere publishes a survey which gives the Vox 25 deputies if elections were held now. ‘Sanchez's plan to limit parliamentary immunity has no allies in Congress. The Government now gives itself one year for the reduction of that judicial protection for public offices’. The story from El País here. The other parties say it doesn’t go far enough... According to an article at Europa Press, there are some 250,000 aforados in Spain. The dubious concept of aforamiento is explained at Wiki here. Item from El País here: ‘The Army and Police will have to admit HIV carriers, celiacs and diabetics. The Government eliminates the veto that existed for the seven million people with these diagnoses together with those suffering from psoriasis’. ‘Four Catalan leaders facing trial in Spain go on hunger strike. Strikers claim justice system has tried to stop cases reaching court of human rights’. More at The Guardian here. From The Olive Press here: ‘Spain warship playing national anthem illegally invades British waters off Gibraltar. There have been growing tensions between the UK and Spain since discussions over the future of Gibraltar’s sovereignty emerged following Brexit talks’. With video. That should cheer up Daily Express readers! ‘The PP used black money to buy up 15,000 copies of a book written by Mariano Rajoy. Luis Bárcenas had two invoices totalling 88,000 euros for the massive acquisition of copies of 'Rajoy, Camino a la Moncloa' in 2004’. El Plural has the story here. ‘The Prosecutor's Office of the Audiencia Nacional sees no reason to reclaim the investigation into the sniper who was apparently trying to assassinate the President of the Government, Pedro Sánchez. It rules out that the 63-year-old security guard Manuel Murillo could be accused of terrorism for the intentions he expressed in various forums following the Government's plans to exhume the body of Franco del Valle de los Caídos...’. The story comes from El Confidencal here. From El País in English here: ‘Brexit latest: An open letter from the British ambassador to Spain. Simon Manley explains the situation for Britons living in the country after the approval of the United Kingdom’s Withdrawal Agreement with the European Union’. ‘Will Brits leave Spain as Brexit looms? Why they should stay behind. Brexit plans have sparked political furore, with mass resignations and Parliamentary rebellion on the cards. Will British expats leave Spain as Brexit rolls in?’. The article is kind of a puff piece for deVere independent financial advisers and can be found in The Express here. The German view from Spiegel here: ‘Isle of Madness. A series of miscalculations has brought Britain to the brink. Brexit was to allow the United Kingdom to reclaim its former glory. Instead, the country's leaders have bumbled their way into catastrophe. Built on a false premise from the start, the UK's move away from the EU has been dominated by mistakes and miscalculations’. It notes that ‘...Britain hasn't been united for a while now. Most Scots, Northern Irish and Londoners voted against Brexit, while a majority of Welsh and English are in favour of it. But all seem to know they will ultimately emerge from the situation in a weakened position...’. Worries about the new European copyright laws: From Don’t Wreck the Net here and YouTube here. The latest scam is no longer fake news, says ElDiario.es, but fake adverts. One we’ve seen for Amancio Ortega and his operation to ‘Save Spain’ turns out to be the gateway for a group of fraudsters. Vox has fallen out with VozPópuli here. ‘Vox launches campaign against Vozpópuli for revealing its alleged lottery scam. The party led by Santiago Abascal starts a campaign on social networks which accuses this newspaper of "garbage journalism" for reporting the existence of a complaint against him for "alleged fraud" with the Christmas Lottery of 2015’. It appears that the party allegedly sold tickets for a number which they hadn’t acquired which, uh, unfortunately won a prize. Meanwhile, Telemadrid has asked its journalists not to refer to Vox as ‘ultraderechista’, says Público here. Ten popular pieces of fake news about immigrants in Spain, with Maldito Bulo here. After 35 years of publishing, two weekly English-language free-sheets were abruptly closed down last week by their owner (the Euro Weekly had bought them both early last year). The titles are Round Town News and the Sol Times. Lenox irreverently writes about this here. (Short of a protest from the yellow-jackets), ‘The Diesel Tax wins the battle and will come into effect in 2019...’. Autopista says that ‘the diesel tax will cost us much more than the Government claims’. The usual toxic brew has begun between the ecologists and the right-wing. 'It’s the only way forward: Madrid bans polluting vehicles from city centre. Only vehicles producing zero emissions are allowed to drive freely in downtown Madrid – making it a pollution pioneer in Europe’ says The Guardian here. ‘"Everything is very nice, except for those who work in the centre"’, says El Español, quoting a deliveryman here. From ElDiario.es we learn that, on the first day of the new traffic rules in the centre of Madrid, the underground trains (controlled by the regional government of Madrid) were found to be operating at only 80%. From Practica Español (in English) here. ‘This Thursday, December 6, Spaniards celebrate the 40th anniversary of the longest-lived Constitution in the history of Spain, approved by the Cortes on October 31, 1978 and ratified in a referendum one month and six days later...’. The Media has long written about ‘revolving doors’ where departed politicians find high-paying positions in the private sector. From La Información comes ‘Three former Rajoy ministers and other senior officials join different private firms just six months after leaving the government’. The ex-politicians in question are quoted as Rafael Catalá, Íñigo de la Serna and Pedro Morenés. From Marca España here: ‘According to the 8th Wave of Spain’s Image Barometer (BIE), prepared by the Elcano Royal Institute, Spain’s image ranks high on a list of European countries. The survey focuses on European countries only. As many as 3,790 individuals from Germany, France, the Netherlands, Belgium, Italy, Poland, Sweden, Portugal and the UK aged 18 to 70 answered a questionnaire and scored (0 to 10) all the countries on the list, including the country they live in and Spain...’. ‘"That Spain is a happy country is a cliché that wealthy people tend to spread." The economist Ignacio de la Torre has just published ‘Sobre la felicidad y la desigualdad en España’, in which he analyses the true state of mind of our country on the basis of objective data’. Item from El Confidencial here. ‘Aspen Pharmacare (based in South Africa) has multiplied the income obtained by five drugs that it manufactures against cancer after withdrawing them back in 2014 from the Spanish market and thus obliging hospitals to purchase them from third countries, where the company has managed to impose prices of anything up to 30 times higher, according to documents seen by El País...’ here. An odd story here from El Salto Diario: ‘The German ex-legionnaire Joachim Fiebelkorn, one of the most feared neo-Nazis of the second half of the 20th century, investigated for a massacre in Italy and hated in Bolivia for his role as a collaborator of the dictatorship together with the captain of the Gestapo Klaus Barbie, maintains a fortress in Alicante where he is surrounded by civil guards, soldiers and comrades’. It’s outside Rojales. From The Olive Press here. ‘Historians have finally ‘discovered’ the enchanted Lost City of Atlantis in southern Spain’. ‘The World Heritage Sites of Spain. With 47 places to its credit, Spain is the third of the countries in the world with the most World Heritage sites and now we show you all of them’, says National Geographic here (with beautiful photographs). ‘The capital of Andalusia in southern Spain, Seville is every bit the seducer you imagine it to be. With advice on the most essential sights and must-eat bites, this is my personal and somewhat overly-sentimental guide to the best things to do in Seville’. From Ben Holbrook and his Driftwood Journals here. (On the Andalusian election results) Governments of all types (either conservative or "centre") have caused this by doing nothing for working people expect piling on them years and years of austerity, no wage rises, major cuts to basic services and allowing rich individuals and corporations to avoid paying tax for the infrastructure they happily use. Sadly, the left has yet to organise itself well enough to turn voters our way. ‘In 1999, Pontevedra made the bold move to effectively ban all cars from its medieval downtown area, creating the largest pedestrian-only zone in the world at the time. Today, the city is thriving, but how is it bringing in people from the region around it without cars or buses on the roads downtown?’. A video on YouTube here.